Dr. Peter Rohlmann and his team at PR Marketing, who have worked as consultants to major brands and football leagues over the years, have come up with the numbers for the average jersey sales by club in Europe, for the past four seasons (2009/10 - 2013/14). Considering that the average jersey top costs in the area of €50, Real Madrid bring in around €80 million every year from jersey sales alone. 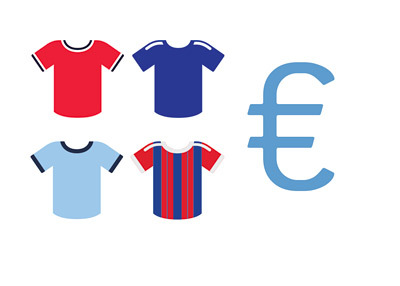 Football Jersey sales are big business!